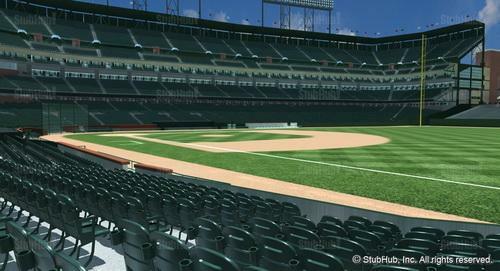 Row 23 is a short row of 9 seats at the bottom of the aisle that goes down the center of Section 103. Convenient, easy access, roomy. We are looking to split season and sell 10 games. 3 seats on aisle. all August, Sept and Oct games available.